Misplaced modifiers are often funny, but they are also wrong! 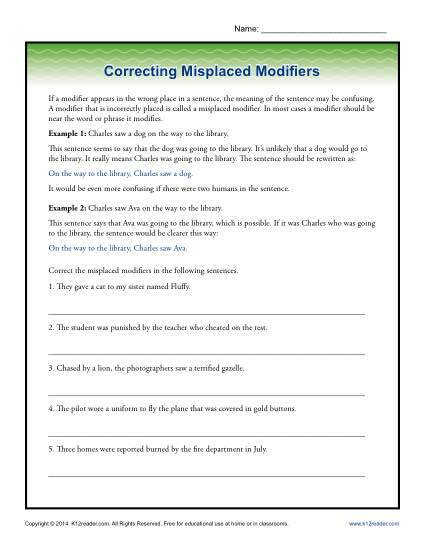 In this worksheet your student will correct the misplaced modifiers in sentences. It’s perfect for practicing Common Core Standards for Language for 7th grade, but other students in other grades may also use it.